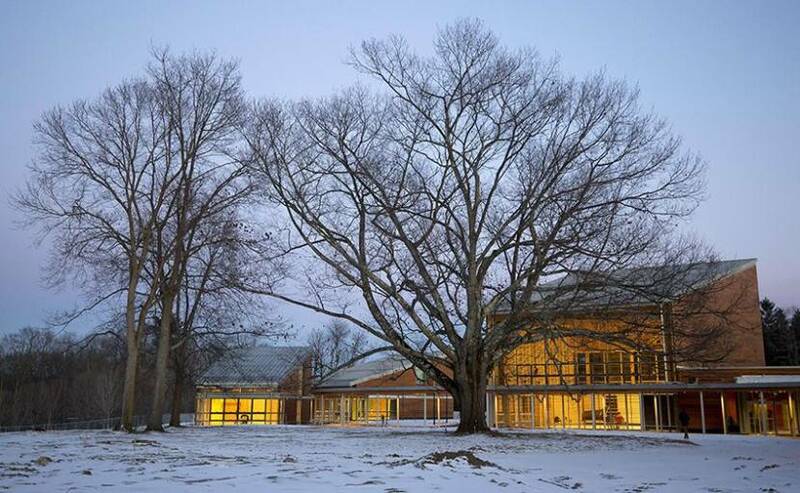 Located on a ridge overlooking the Ozawa Hall lawn and Berkshire Hills vistas, Tanglewood’s new Linde Center for Music and Learning, designed by William Rawn Associates Architects and opening June 2019, gathers around a 100-foot tall red oak, with a serpentine covered walkway connecting the four buildings and framing both views and paths. 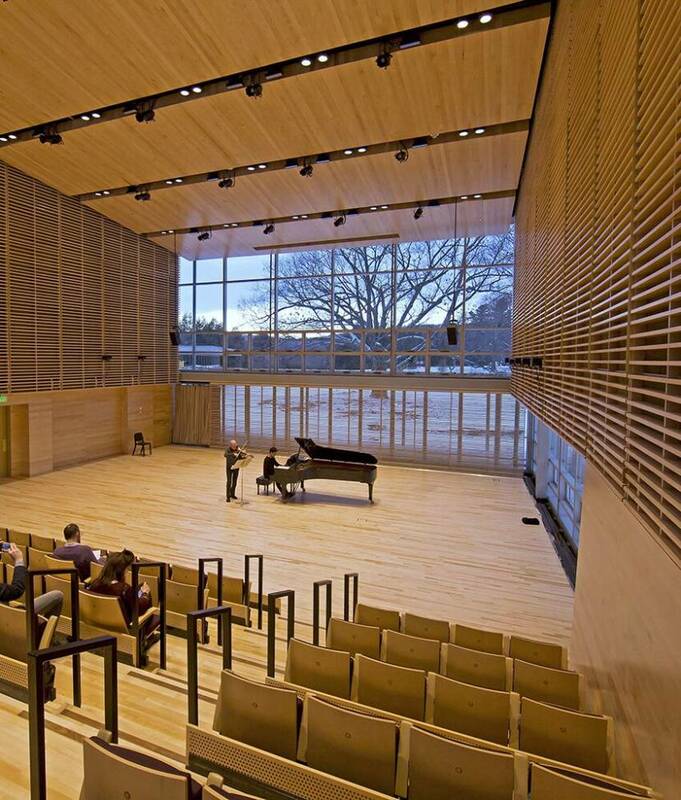 The Linde Center is home to the new Tanglewood Learning Institute, also launching in summer 2019 and offering more than 140 cross-cultural activities, as well as providing support for the Tanglewood Music Center, the Boston Symphony Orchestra’s summer music academy. Starting in fall 2019, these climate-controlled buildings will establish Tanglewood for the first time as a year-round facility, providing access for TLI programming, event rental and concert use by the BSO, the Berkshire community and beyond. Lenox — We knew they were up to something back there—something intriguing and rather large. You probably noticed it yourself: Over the last two summers, curious Tanglewood patrons have seen four new structures take shape on the grassy ridge overlooking Ozawa Hall. And, by the end of June 2019, these new buildings — constituting the Linde Center for Music and Learning — will be ready to host the new Tanglewood Learning Institute in its first year of operations. Accordingly, the Boston Symphony Orchestra, on Friday, June 28, will hold a public ribbon-cutting ceremony honoring the Linde Center’s funders, builders and staff. Open houses begin the following day, with free, family-friendly activities offered throughout the weekend. Yes, the buildings have roof-mounted solar panels and countless other environmentally friendly features. Not to mention state-of-the-art audio and video recording facilities. Also a 150-seat café where you’ll have a chance to hobnob with some of the finest musicians in the world. To help put all of these new developments into perspective, let’s compare the Linde Center with Ozawa Hall. The Center has a far smaller seating capacity than Ozawa Hall. But that’s a really good thing, because it means when you take your seat in any of these performance spaces, you will find yourself in closer proximity to the performing musicians than ever before. The Linde Center’s long-term importance to Tanglewood could eventually rival or even exceed that of Ozawa Hall. Why? Because of the wide range of programming that the Linde Center can support. The Linde Center buildings are Tanglewood’s first structures to provide both heating and air conditioning, which — along with a curb cut onto Hawthorne Road — means that this state-of-the-art venue will be fully accessible during all seasons. This should please Berkshire residents especially, because once the reality of all this has sunk in, fall and winter will never be the same in the Berkshires. Tanglewood concerts in January? YES! Tickets for TLI programs, ranging from $19 for some “Full Tilt” events to $399 for each of the four TLI Weekends, and tickets for the entire 2019 Tanglewood season, ranging from $12–$130 (regular season prices), will go on sale Sunday, Feb. 10 at www.tanglewood.org and (888) 266-1200.